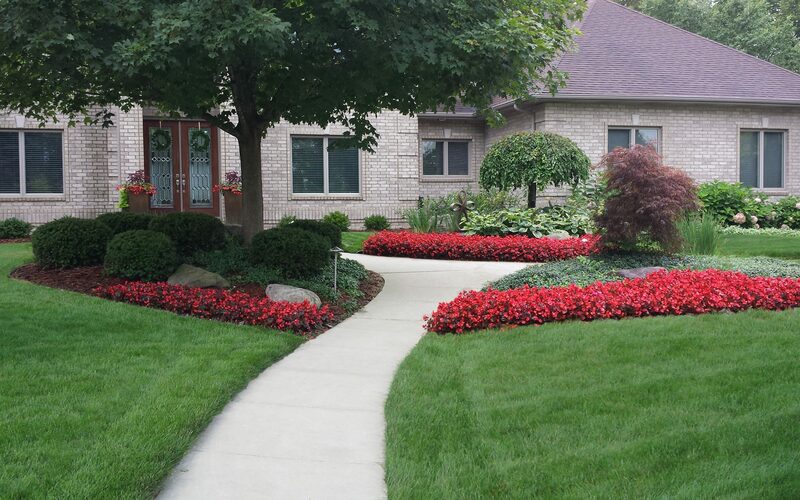 After a long winter your yard needs “The Works”! Now that the snow is gone and spring is officially here it’s time to get back outside and enjoy nature. Along with that comes cleaning up our yards after the bitter cold winter we had. Not looking forward to getting out the rake and pruners? Not sure what to prune or where to start? Let the experts of Reder Landscaping get your property back in shape, all you have to do is enjoy! A complete spring clean up of planting beds and lawn to remove all debris. Pruning of shrubs to remove damage, control size and improve shape. Recommendation and installation of plant replacements, if needed. Fertilization for your plants to give them the nutrients they need. Edging of your plant beds to make them crisp and clean. Weed control for your plant beds to minimize maintenance for the rest of the season. New mulch for a neat, finished, newly landscaped look. It’s called “The Works” and it’s designed so you can come home to a ‘like new’ landscape! Call 989-835-8260 or click here for your FREE estimate! Saginaw Home and Garden Show 2019! Angela Carlson on Saginaw Home and Garden Show 2019! Norman McGarry on Saginaw Home and Garden Show 2019!